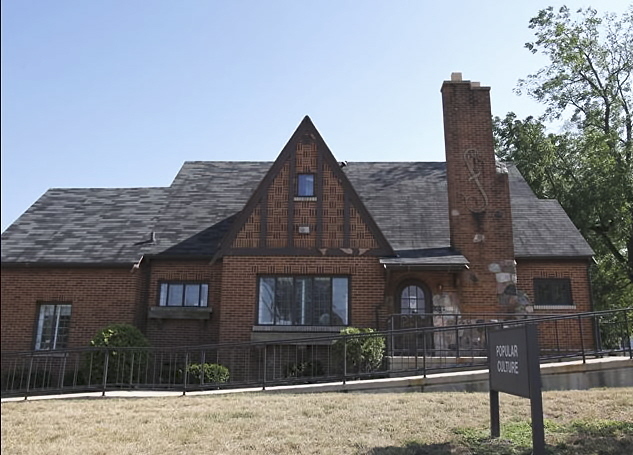 Bowling Green State University plans to raze a historic house that currently serves as faculty offices. Four university presidents have lived in the house, which was expanded in 1950 to 5,125 square feet. Students and faculty are protesting the proposed demolition. The house looks very much like a Sears Colchester model, but markings on attic lumber inside the house clearly indicate the house was from Montgomery Ward. Wards did not offer a model that looked like the Colchester. The most likely possibility is that the buyer contracted Montgomery Ward to build a custom house that looked very similar (if not identical) to the Sears Colchester. Of course, it makes no sense to pay for a custom house from Wards when you could just order a Colchester (or its twin, the Lewiston) from Sears for much less money. 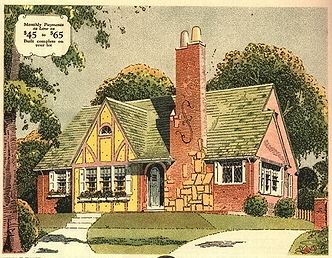 The house was purchased by a Virgil H. Taylor of Bowling Green. In the April 1930 census, Virgil, who was single, lived with his parents nearby. According to the local newspaper, in August 1930 Virgil was actively courting Virginia Smith who later became his wife. 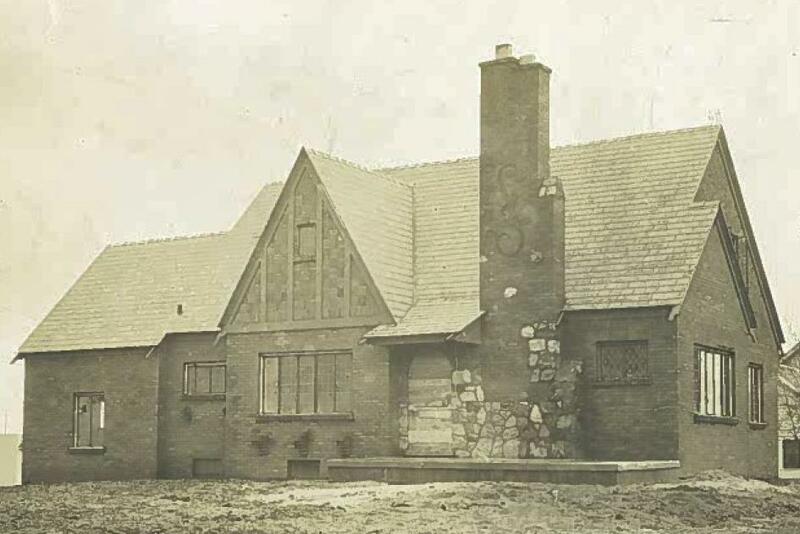 The mortgage for the house was issued in November 1931, but a photo has surfaced from October 1931. 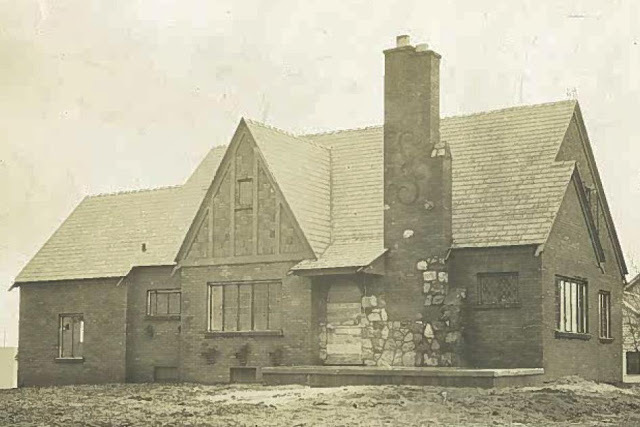 Photo of the house from October 1931, courtesy of Virginia Taylor Combs (Virgil Taylor's daughter). Virgil was not particularly well off and probably unable to afford a custom house. At age 30, he was working as the advertising manager for the local newspaper. I don't see anything connecting him or his family to Montgomery Ward. With the demolition scheduled for the end of August, the details behind this home's construction may never be determined. There is an online petition you can sign to support saving the house. Who said you can't fight city hall (or Bowling Green State University)? Thank you for writing about the Popular Culture House. We continue to try to save it, though decision-makers remain unwilling to change their plans.